A Nigerian man recently shared the story of a woman who is widowed and has had to hustle hard to take care of her two children. How she has done this is by driving and manning a Keke Napep in Umuahia. This account has inspired many people on Twitter. The inspiring account was shared on the Twitter page of a non-profit organisation called Smiles Mission. In the post, it was reported that the widowed lady is named Ijeoma. Her husband died in December 2008, and since then, she has been hustling to take care of the two children she and her hubby had during his lifetime. 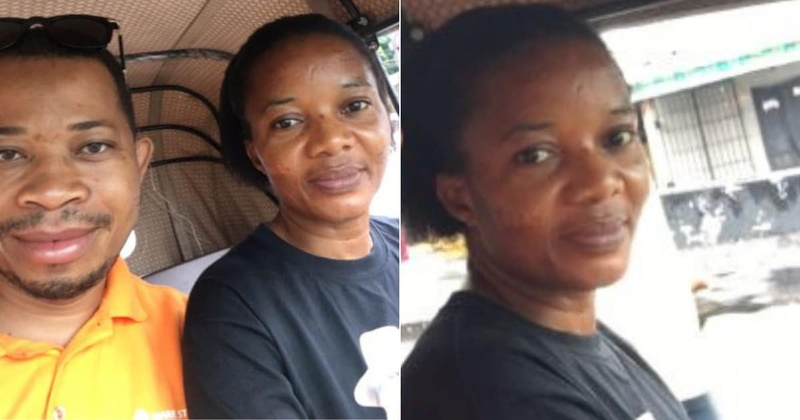 In between the task of sustaining her kids for 11 years, Ijeoma is now a hustling as a Keke Napep driver. Bold, strong and hardworking, this woman is doing a job that has mostly been associated with males. She's already helping herself, and so are other strong people I've met. This doesn't make sense. Why do you want to support her?? What is wrong with her?? She's working & earning a living. You're disturbing her. Let the woman work. This is unfortunate, what you're doing. You're abusing this whole charity thing. & it's rue to take these photos, Gosh!